Euro is still moving downwards. The price slowed down at the level of 61.8%, but it looks like the bears are going to stop. Most likely, the pair will continue falling down towards the level of 78.6%, where there are several more fibo-levels. 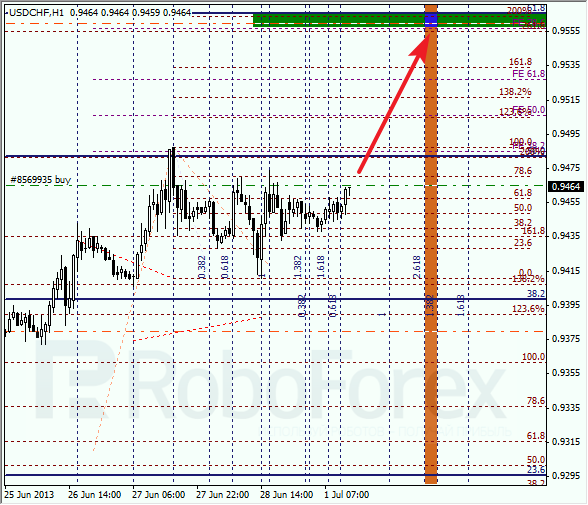 At the H1 chart we can see, that the target area is confirmed by several more fibo-levels. According to the analysis of the temporary fibo-zones, the bears may reach their targets during the next several hours. If later the pair rebounds from the level of 78.6%, the market may start a correction. Franc is still consolidating, but may continue moving upwards a bit later. If the price breaks the level of 50%, the pair will continue growing up towards the level of 61.8%. The market may break the maximum during the day. 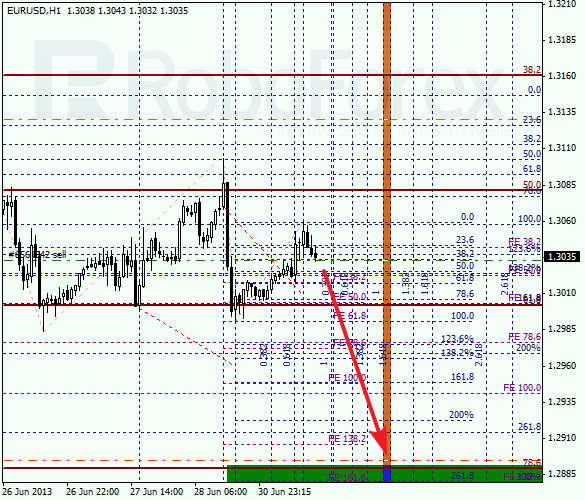 At the H1 chart we can see, that in the target area there are several more fibo-levels. According to the analysis of the temporary fibo-zones, the target levels may be reached quite soon. I’ll move the stop into the black as soon as possible.